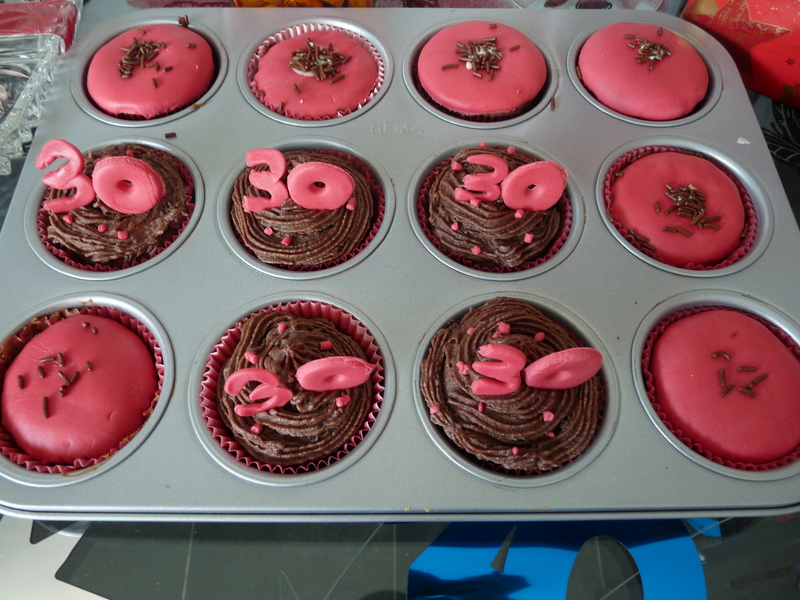 For Franzi’s 30th Birthday as part of the dessert table, I decided to do some personalized 30th birthday cupcakes. 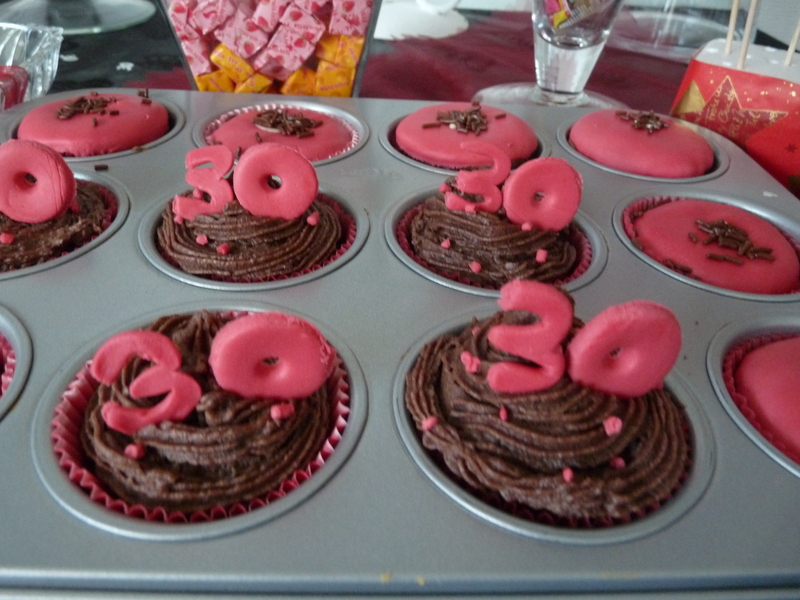 This was very easy to do as the 30th number was made of fondant. First bake some cupcakes in any flavor you want, I chose to bake vanilla flavor cupcakes, you can use any vanilla cake box mix or do it on your own. 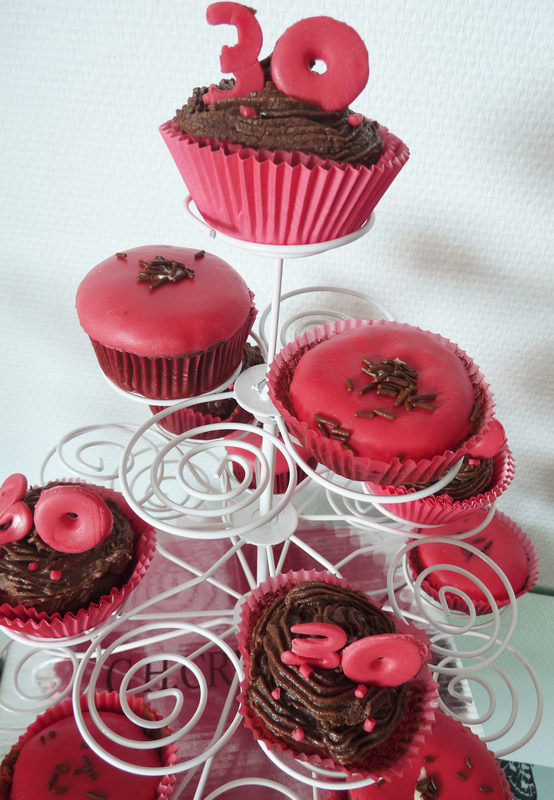 Chose a fondant color that would be matching the rest of the decoration, so in my case this was burgundy color. 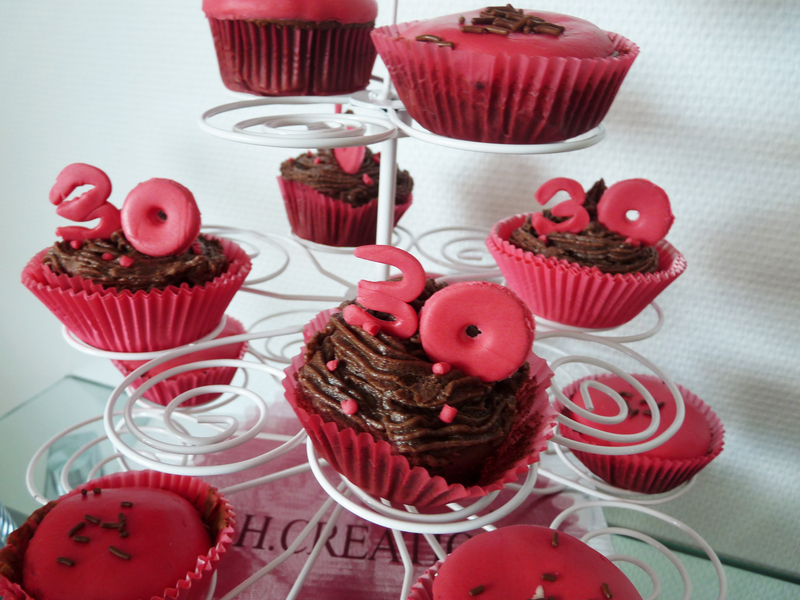 I know that to find a burgundy color fondant would be almost impossible, however you can create any fondant color you want with food coloring. I just bought a normal red colored fondant and added a few drops of blue coloring so make it the tone I wanted. It is better when the colorant is in gel and not liquid. Once you have the colored fondant you can use some number templates to create the numbers you wish to add, so for the 30th birthday theme, I had 3 and 0. if you don’t have some number templates you can use some fondant tools to make the form of the numbers or a knife. 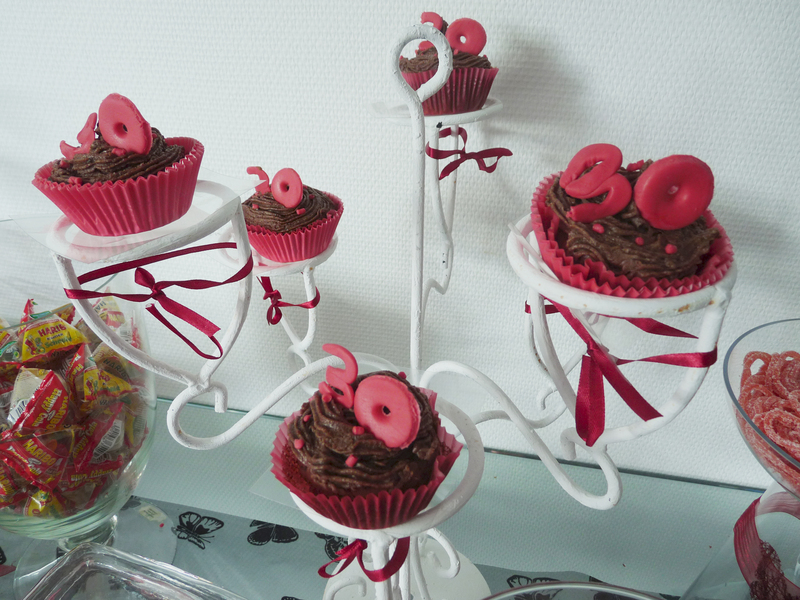 Add some toothpicks behind the fondant numbers and place them on top of the cupcakes.